A fantastic project this week to get my teeth into! I was asked to replicate a clients’ Wedding Cake for their 25th Wedding Anniversary. 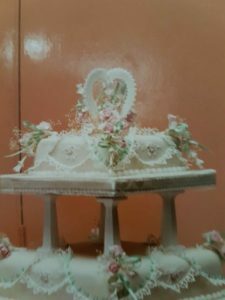 This cake was a classic from the 80s; detailed hand piped lace work, ribbon insertion, flooded 3D hearts and small sugar flowers. 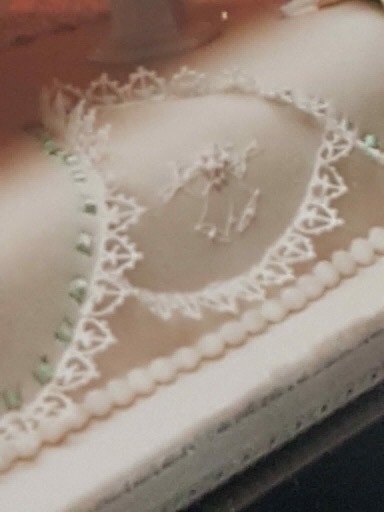 I had to delve into ‘The Art of Royal Icing’ by Eddie Spence to swot up on the traditional techniques and I thoroughly enjoyed the process. 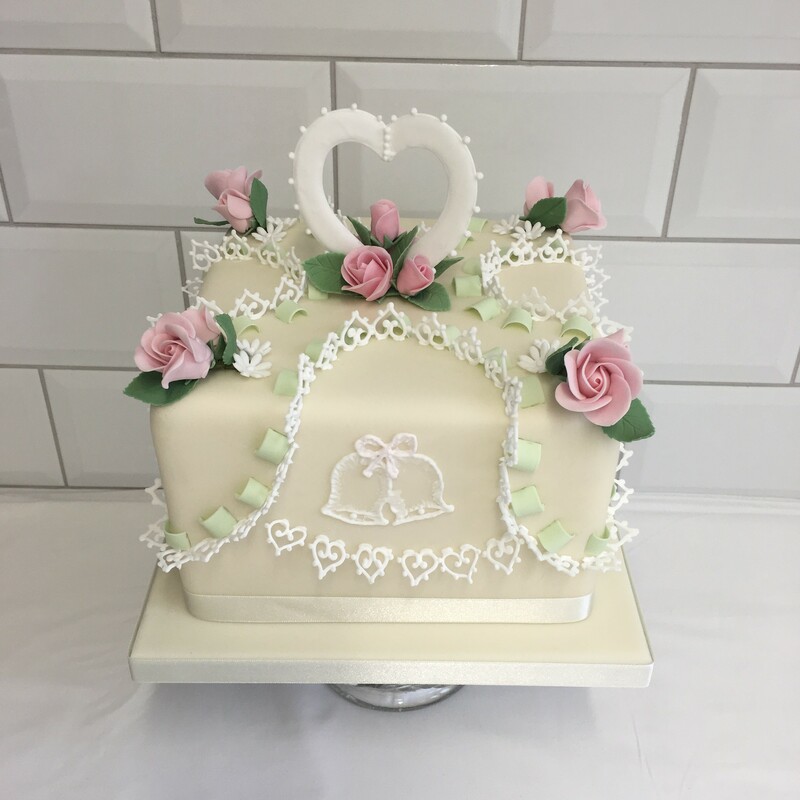 Using the images I was provided, I hope I did the original cake justice and my clients seemed very happy. What do you think? Many people tell me that they wouldn’t have the patience it takes to create such a cake but this is what I love about making Wedding Cakes – breaking down each aspect of the design and then putting it back together to create the design my clients envisage. Every cake is made in the same way; baking, layering, icing, decorating but each individual cake is different and requires a different approach. 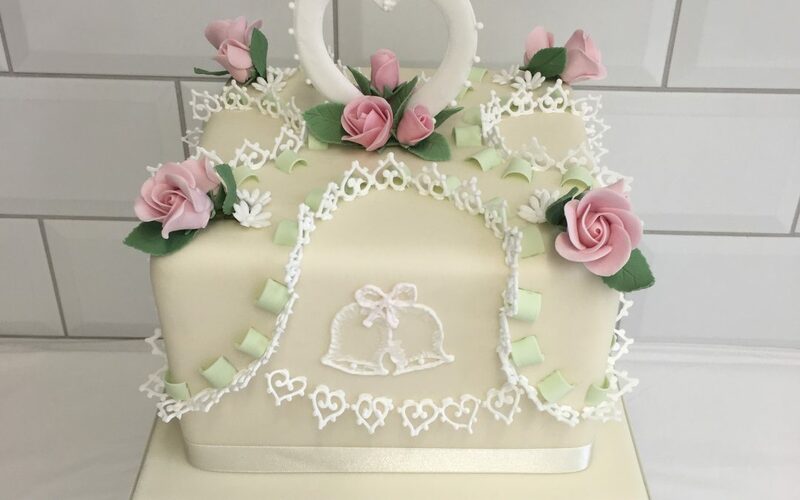 Hopefully each cake always ends up being beautiful and delicious in its own unique way!